These products are the exact same variant as Apple’s existing products however, what makes them stand out is the colour. 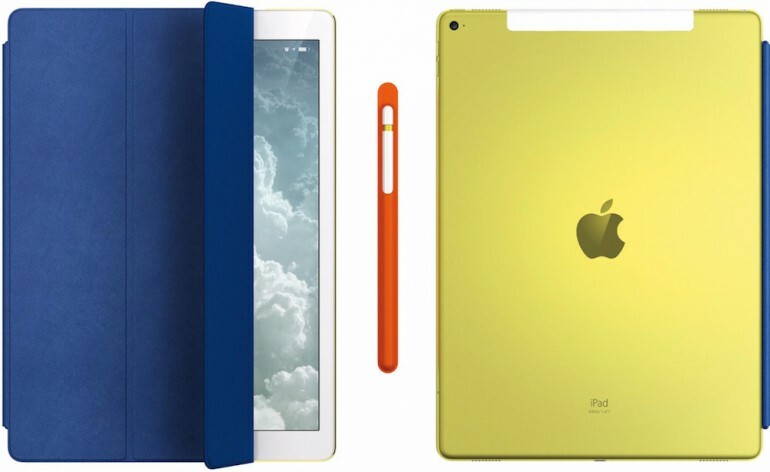 The iPad Pro comes in a yellowish aluminium finish (the regular 12.9” iPad Pro is only available in silver, space grey and gold), while the Smart Cover is available in blue leather (Apple does not sell Smart Covers with leather finish), and the Apple Pencil has a special gold ring along the top and an orange leather case. Since they are all a one-of-a-kind product, the back of the iPad and the inside of the Smart Cover are laser etched with “Edition 1 of 1”.